Mattie Ruth Wells, 91, passed away Sunday, January 20, 2019 at Mission Hospital. She entered this life on April 17, 1927, a daughter of the late Benjamin Harrison Wells, Sr. and Zora Boston Wells. Mattie Ruth attended the Asheville public schools and graduated from Stephens-Lee High School. She was a former employee of the old George Vanderbilt Hotel and Grove Park Inn. She retired as Housekeeping Supervisor from Mission Hospital after 28 years of service at the age of 70. Mattie Ruth was a faithful member of Mt. Carmel Missionary Baptist Church and served as an usher and Mother of the church. She was a member of the Elite Senior Citizen Club, NC Association of Senior Citizen Clubs District 9, and The City Wide Usher's Union. In addition to her parents, Mattie Ruth was preceded in death by brothers, Coolidge and Benjamin, Jr.; sisters, Rosa Mae Gudger Lewis, Juanita Gudger Jones, Hattie Wells Walker and Hortense Wells Patterson. 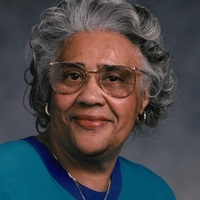 Ms. Ruth as she was affectionately called, leaves to cherish her memory, daughters, Zoretta Smith-Gipson, Las Vegas, NV, Rayedean Jenkins (Eddie Ray), Valerie Lordman (Earl) and Kimberly Douglas, all of Asheville; sons, Benjamin, Curtis, J.C. (Sonia) and Brett Douglas, all of Asheville; 17 grandchildren; 23 great-grandchildren; 7 great-great grandchildren; and five new additions coming soon; several nieces, nephews, cousins and friends. Funeral Service will be 1 PM, Friday, January 25, 2019, Nazareth First Missionary Baptist Church with Rev. Louis Grant officiating. The family will receive friends, Thursday, 7-8 pm, chapel of Ray Funeral & Cremation Service. Burial will be in Violet Hill Cemetery.